When Urgent was started, things were very different. The NYC ACC sent an EMAIL to New Hope Partners, showing all the animals that were at risk of dying at 6AM the following morning. They warned that it could not be shared or the New Hope Partner could lose their ability to take animals. EVERYTHING was a secret. If an animal died, they would just say that the file was closed. Very few, if ANY, knew that the ACC was a “kill shelter.” I know I didn’t. Fast forward to 2018. 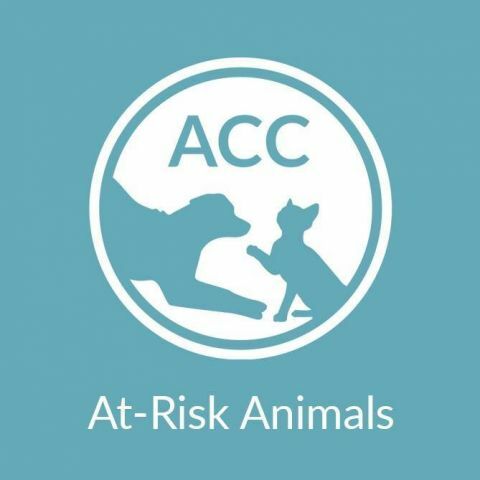 Though not perfect, the ACC has made great strides in alerting the public to “at-risk” animals They now post all animals on their new website, and allow the public to see ALL animals listed, not just the ones available to the public. They started posting status of animals, including the ones that didn’t make it out alive. They post multiple pictures, videos, and bios. Not just the one horrible “intake photo” with the infamous noose around the animal’s neck. They changed the “deadline” to 12PM so that humans would be there to help facilitate the last minute pulls. After many months of discussion, starting TODAY, the NYC ACC will now be posting ALL animals to a new Facebook page, dedicated to the animals on the list that night. They are finally doing what we have wanted them to do all along. We ask that you go to their page, LIKE it, and share the animals DIRECTLY FROM THEIR SITE. We were assured that all information would be posted, and the albums would not be deleted. As status becomes available, we were promised that the animal’s post would be updated. Everyone will know the outcomes of all animals on the list. One thing we IMPLORE everyone to do is – BE RESPECTFUL. If you post the comments we see all over Facebook (murderers, I hope you die…) you will just force the shelter to reconsider what they are doing. Work WITH them to make sure that ALL animals are known and have every chance to make it out alive. This page is new, and as we all know at Urgent, change can be difficult, and new procedures take time to perfect. BE PATIENT. We are sure there will be kinks and We are hopeful they will be worked out. When Urgent was started, we began posting the list because no one else was. We said that we would continue to post it until the ACC made the nightly list available to all. That is what they are attempting to do. So, as long as THEY are posting the list to social media, we feel that posting elsewhere would just cause confusion along with multiple threads where offers to foster/adopt/donate could get lost. That is why we are asking everyone to SHARE the official ACC posts, and not the posts from the 45675435 other Facebook pages. Just try it and give it a chance. One thing that needs to be said…over the years, we have seen the harm that people with “good intentions” cause and it has made us question if we are really helping. Yes – many make it out, but how many are “lost” due to irresponsible adoptions/pulls? Be smart. Know your limitations, and then do what you can to HELP, not hurt these animals. After YEARS of spending almost every day, glued to our computers at 6PM, the volunteers at Urgent will be taking a much needed rest to regroup and refocus. We will continue to push for change in NYC and we will still be advocating for NYC’s homeless animals. We will just be doing it on a broader scale and not chasing our tails trying to post “the list” every night. We will shift focus to disease, spay/neuter issues, proper placement, training and vetting as well as highlighting animals at the shelter that need some extra help…. all the things everyone knows is broken yet no one can seem to fix. That said, if the ACC stops posting, or starts taking steps backwards, we will be back – for the homeless animals at risk of dying in NYC. wow, awesome post. Much obliged. Hi there, There’s no doubt that your web site might be having browser compatibility issues. Whenever I take a look at your website in Safari, it looks fine but when opening in I.E., it has some overlapping issues. I just wanted to provide you with a quick heads up! Aside from that, wonderful site!